Bruce Dudley has made a longtime study of Monk’s music, having recorded a CD of Monk compositions and taught Monk’s music to his students at Belmont University and the Nashville Jazz Workshop. 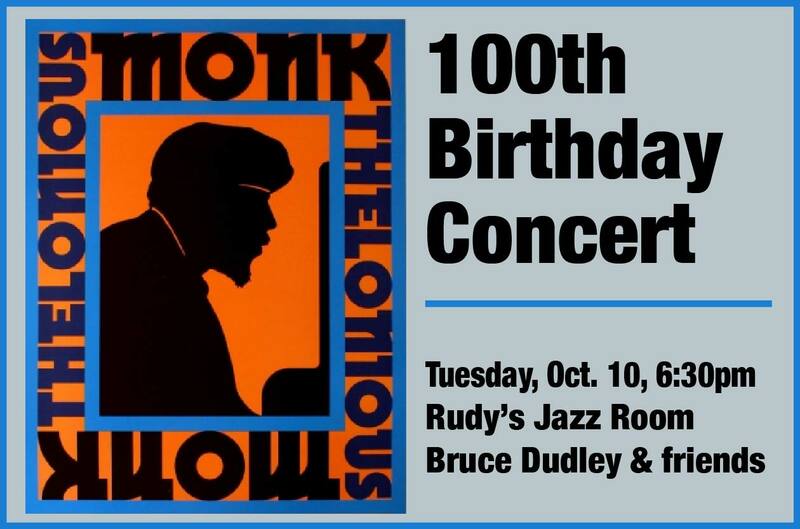 Earlier this year he led an installment of the Workshop’s “Jazz on the Move” series devoted to Monk on the 100th anniversary of his birth. For this special birthday celebration, Bruce will lead a quintet, with Evan Cobb (saxophone), Roland Barber (trombone), Brian Allen (bass), and Marcus Finnie (drums). There will be two sets beginning at 6:30 pm. Tickets will be $20 general admission and $15 for TJBS members and students. Tickets will be on sale online through Brown Paper Tickets and can also be purchased at the door.